This is simply the best FREE Internet Marketing Seminar You Will Attend This Year. It is practical based and online business secrets-burster training. You will be amazed about the raw truth you will discover just in one day! The best part of it is that - It is absolutely free! My name is Gbeminiyi Oluwabusola. Some years back I was thrown out of business I started with a partner and I went flat broke. 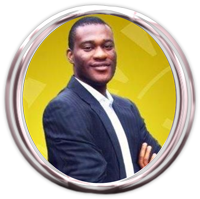 The only safety I had to bounce back and start our presently thriving business was internet marketing. Today, I teach hundreds of people the same secret I used to save myself from the jaw of poverty. I want you to attend my upcoming free Internet Marketing seminar to listen to my story, get motivated and start your own business too by following the simple steps that I will explain to you. Fill in the form above and I shall see on the seminar day where we can work together on building your own online business too.